TORPOINT table tennis star David Wetherill will compete for Great Britain at next week’s World Para Championships in Slovenia. The event will start on October 17 and run through to October 20. 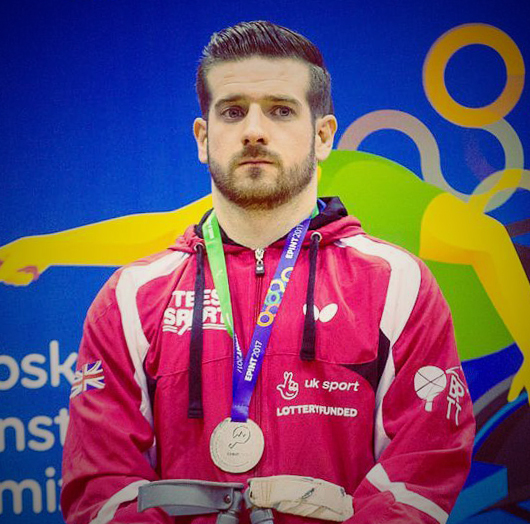 Wetherill, a men’s class six athlete, features in a 14-strong British squad. The 28-year-old three-time Paralympian is looking forward to the event. He said: “My preparation has been really good. I’ve always said my level correlates to my fitness and how injury-free I am and I’m in good shape right now so fingers crossed it can stay the same. “I’m just going to try and play as I know I can play and I’m sure that will be enough. I’m approaching the World Championships the same way that I would a local league match – obviously there is a bit more riding on it – but I’m just going to enjoy it.